Reader, you are set to embark on an adventure about one hidden treasure, two bare-knuckle boxers, three enemies and four hundred and thirty-eight rioters. It is told by an ignorant and prejudiced author – me. My name is Cat Royal, though how I came to be called this, I will explain later. For the moment I will start with the riot, for that was where the story really began. I’m only sharing one teaser today and as it’s the opening paragraph, there is no risk of spoilers! I’m just over half-way through and it’s certainly living up to the intriguing beginning! 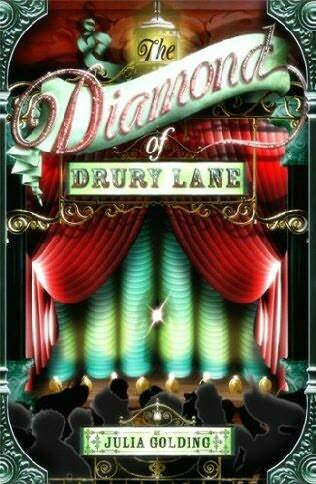 The Diamond of Drury Lane is a young adult novel, but it’s a very good one (at least, it is so far!). It’s dramatic, exciting and atmospheric – it really captures the flavour of life backstage which may have changed a little since the Regency period during which this novel has set, but from my own experiences, both front and backstage, I can tell you, I don’t think things have changed all that much, and all the grease paint and sweat and relationships forged there are present and correct here. I already know I’ll be reading the other books in this series, and I hope I’ve tempted some others to give this one a try with my teaser!